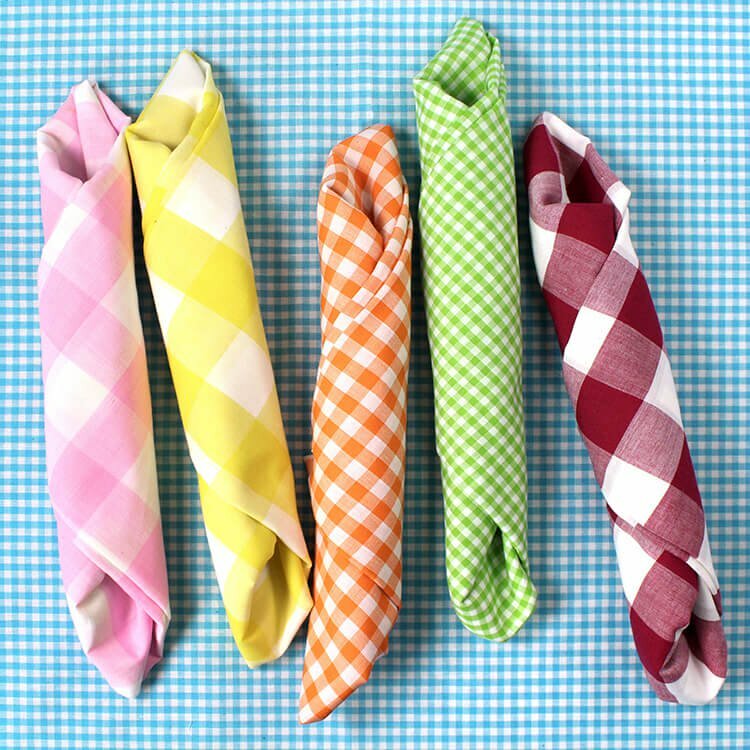 Gingham fabric, recognized by its signature checked pattern of white interspersed with color, is a light and bright summer staple that has been around for centuries. The checks come in a variety of sizes ranging from 1/6th of an inch to 1 full inch. Originally, when it was imported into Europe in the 17th Century, it was a striped pattern. Somewhere along the line in the 18th century, mills in Manchester, England incorporated checks and plaids. These days you’d be hard pressed to find gingham that’s not a checked pattern. Gingham is made from lightweight, plain woven cotton. Poly cotton gingham is lighter and more transparent than 100% cotton gingham. Both kinds are used for dresses, skirts, and shirts for both adults and children. 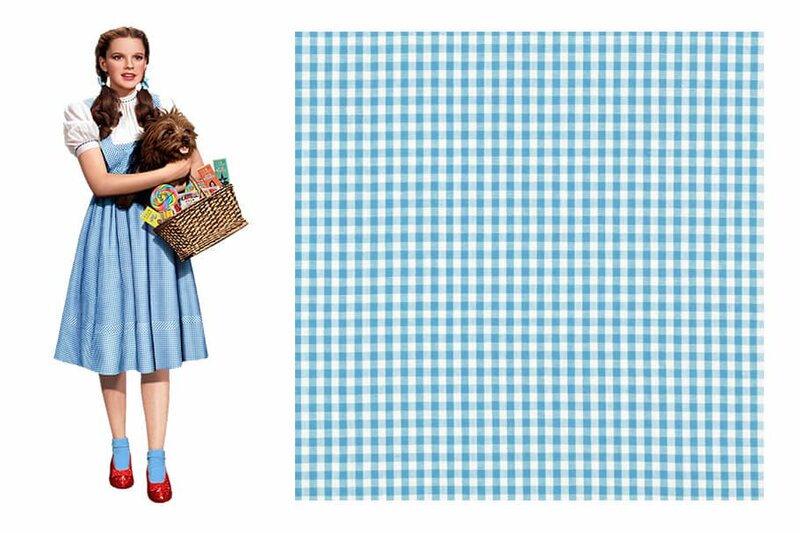 Perhaps the most famous use of gingham in pop culture is the blue gingham dress worn by Dorothy Gale (Judy Garland) in The Wizard of Oz. A general rule is that the larger the check, the less formal the article of clothing. Since it’s fairly thin, you will probably want to add a lining to certain garments. Decorations like curtains and tablecloths are also sometimes made with gingham. For window treatments, adding a lining will help keep the gingham from fading due to exposure to sunlight. Gingham is easy to machine launder with warm water, using a gentler cycle can help prevent wrinkles. Bleaching is not recommended. 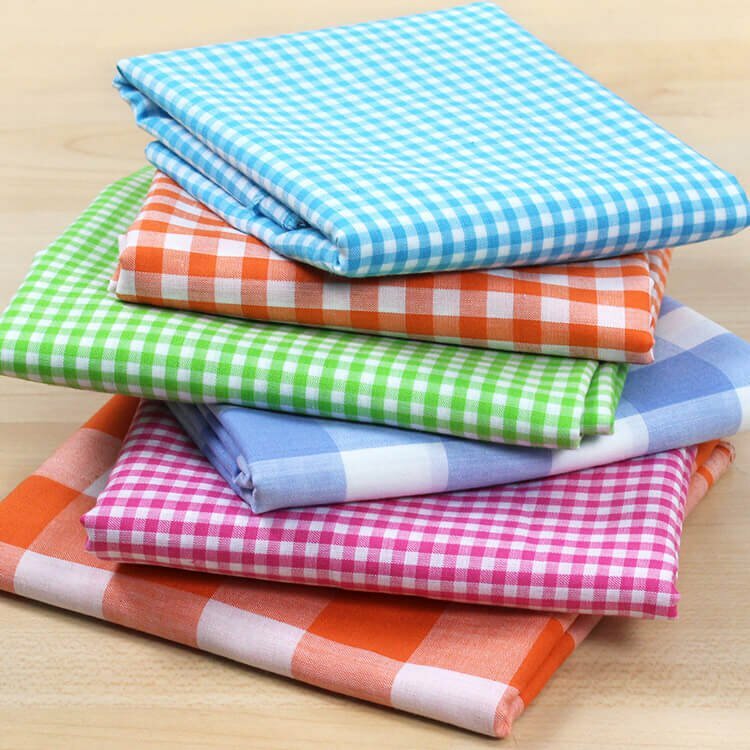 You can iron gingham fabric with medium/high heat and the steam setting on. Before sewing you may want to pre-wash gingham because it may shrink. Click here to see our selection of gingham fabric! DOES GINGHAM MATERIAL HAVE TO BE IRONED? BEST ANSWER: It depends on how you dry it and store it. If you use a dryer and take it out right after it's done, then probably not. If you hang it or dry it flat, probably not. If you store it folded, you may have to iron out the folds. The poly/cotton blend is probably less likely to wrinkle than the 100% cotton. when hemming the small check fabric, I have a problem keeping the check in a straight line on the bottom hem how do you fix this problem? BEST ANSWER: We suggest ironing the edge until you get a nice crisp straight line. You can always iron it flat and try again if it gets off course. At first we suggest not using steam to avoid burning your fingers, then use steam to really set it well before sewing.